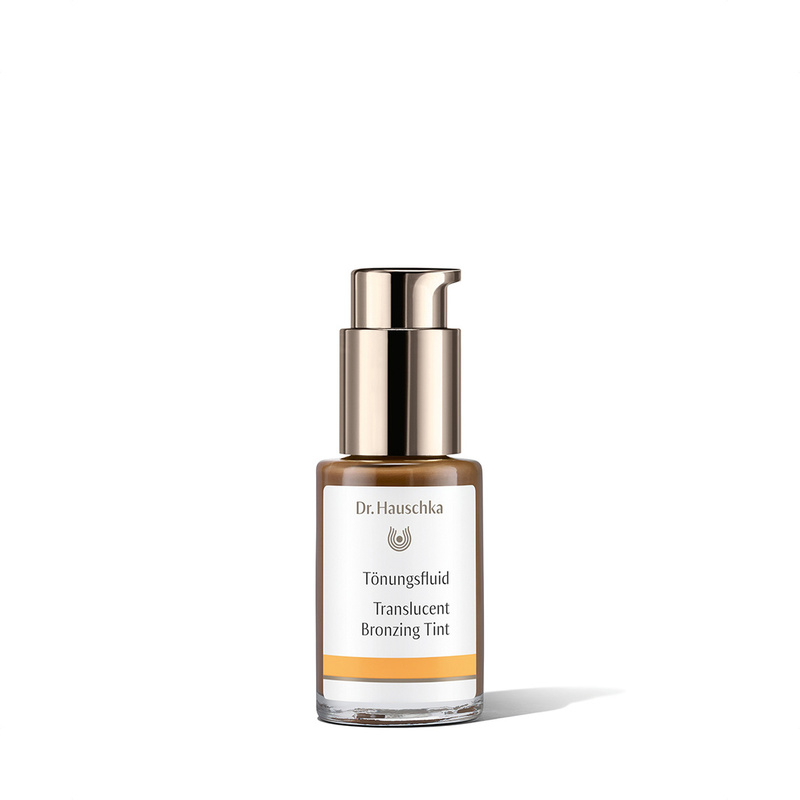 Translucent Bronzing Tint is ideal for use alone or with all Dr. Hauschka moisturisers. This liquid mineral intensifies the individual skin tone while gently blending and softening the appearance of blemishes and imperfections. Formulation: Witch hazel, olive oil, beeswax and colouring pigments moisturise and tone. Skin looks healthy, fresh, even toned and radiant. Translucent Bronzing Tint combines the moisturising powers of medicinal plant extracts with the creative possibility of colour based nuance. Translucent Bronzing Tint can be used with all Dr. Hauschka daytime care products. Simply mix the products together in your palms and evenly distribute on the face and neck. Colour intensity depends on the amount of tint added.